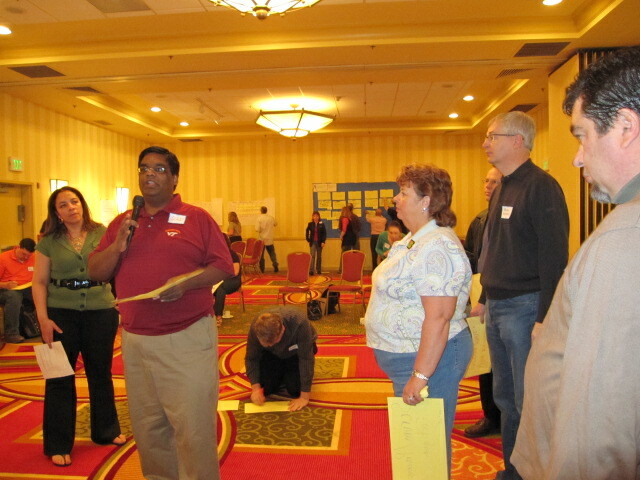 Next week, I’ll have the honor of facilitating the Open Space at the Deep Agile 2010: Empowering Teams with Agile Games Conference May 15-16 in Boston. If you haven’t heard much about Open Space, read on. I want to share my experiences and define this technique in detail. Imagine going to an “un” conference: it’s like other conferences, except that you determine the topics, interact with others who have passion, experience, and curiosity about the same topics, and cross-fertilize your knowledge by sharing with other highly engaged learners. If you’re bored, tired, or not getting value from any session, it’s OK to just walk away. Oh, and someone will record and share the findings, so you can get a flavor for any sessions you missed. That’s Open Space. It’s sort of like going to a conference but not having to sit and listen to a single “expert,” feeling disappointed because your questions were not answered and you never got to chat with others in the audience. Instead, you are part of the buzz in the hallways and coffee breaks—but there is enough structure that your time and energy are focused and fruitful. By the way, Open Space is recognized internationally as an innovative approach to creating change in whole systems and inspiring the best in human performance. 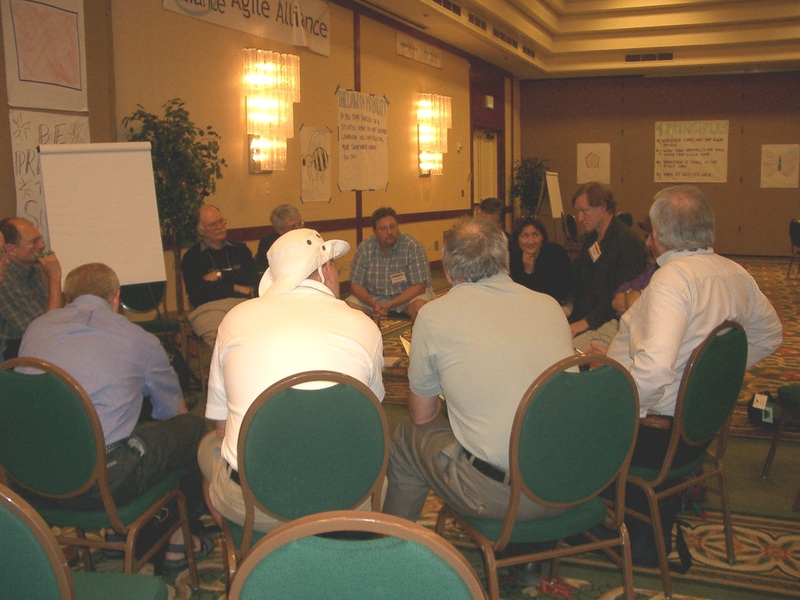 I first learned about Open Space, also referred to as OST (Open Space Technology), more than 10 years ago at an International Association of Facilitators (IAF) conference. Skilled facilitators working with not-for-profit organizations shared this unique and powerful facilitation approach at IAF conferences. But even though we learned about OST, we didn’t use it during any of the IAF conferences I attended. It was not until I went to the very first annual Retrospective Workshop Gathering in 2002 that I participated in OST, thanks to Diana Larsen, who facilitated OST for our gathering. By “retrospective,” I mean a workshop held by a team at the end of an iteration or project to review their process and document lessons learned. There’s an art to making retrospectives highly useful, and this annual conference is devoted to that art. To this day, each year’s Retrospective Gathering uses OST to run the four-day event. 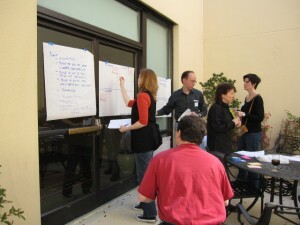 So does Agile Coach Camp (which are usually two days). And Product Camp, like the upcoming one in Boston I will be attending. And a wide variety of “Bar” Camps. Open Space Technology (OST), created by Harrison Owen in the 1980s, is a self-organizing practice that releases the inherent creativity and leadership in people. By inviting people to take responsibility for what they care about, Open Space establishes a marketplace of inquiry where people offer topics they care about, reflect and learn from one another, and accomplish meaningful work. Owen created the technique in the 1980s. A pioneer in Organizational Development (OD) and organizational transformation, he noticed that most deep idea exchanges happen during coffee breaks and in informal settings where people come together without a formal agenda, have an equal voice, and discuss what they feel passionate about. Open Space runs on two fundamentals: passion and responsibility. Passion engages the people in the room. Responsibility ensures that things get done. Interested? Then stay tuned. Next time I’ll delve into the details of Open Space: how it works, what it looks like in practice, and how you can use it to boost your team members’ engagement, productivity, and joy in their work. I’m also a huge fan of Open Space and un-conferences. I urge organizers of un-conferences to be careful, though. I have been to one where vendors and consultants co-opted the open space sessions for marketing opportunities. They even were so bold as to take up a circle of chairs and re-arrange them theater-style, and proceed to lecture to participants. Un-conferences and open space sessions depend on knowledgeable, assertive facilitators who can keep the sessions self-organizing and run by and for participants.